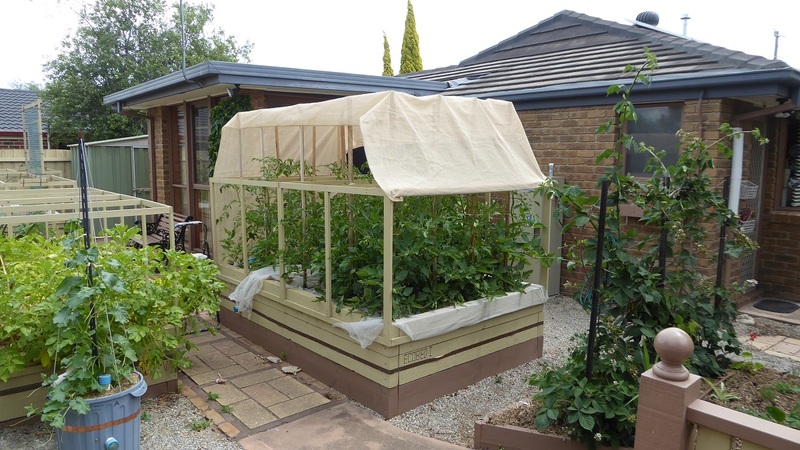 No this canopy is not designed to keep the sun off my tomato plants, it's there to limit damage from the forecast heavy rain and hail over the next few days. Melbourne, like much of Australia has undergone a prolonged period (most of November) with maximum daily temperatures in the low to mid 30C's and very high humidity. Tonight that ends with a major clash of high and low pressure weather systems over Victoria with the inevitable consequences. The tomatoes have set 3 trusses of fruit and are about a metre tall. When they reach the top of their supporting posts, I will nip out the main leader shoots, and continue to remove laterals so that the fruit gets most of the plants nutrients. The thornless blackberries to the right of the tomato bed are recovering well from being monstered by raspberries last year, and although the fruit will be less than usual, next years fruiting canes are growing vigorously. 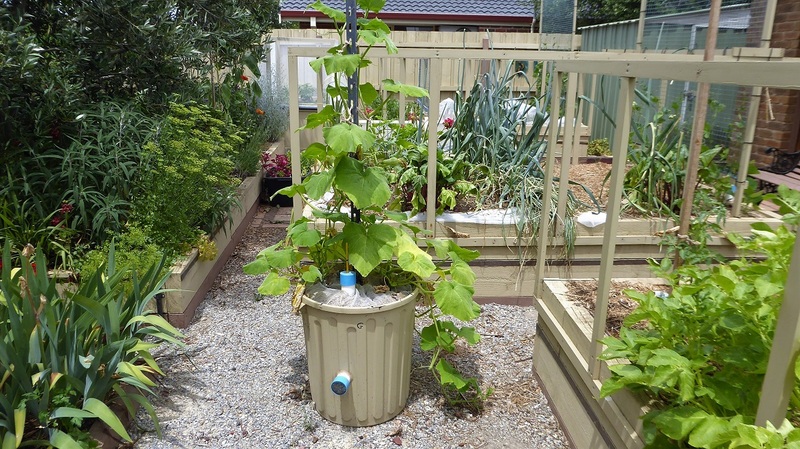 The Ecobin in the bottom left of the photo contains a rockmelon plant, which after a slow start has recovered well and enjoyed the past few weeks of hot weather. The 2 butternut pumpkins in this Ecobin are about to set fruit, and will need hand pollinating. 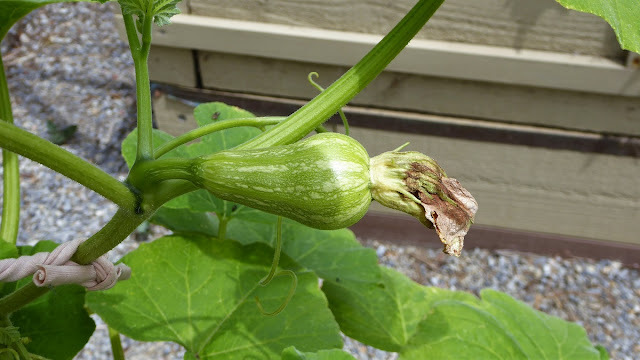 Unfortunately, the first 3 female flowers and their embryonic fruit will fail because the male flowers have not yet matured. 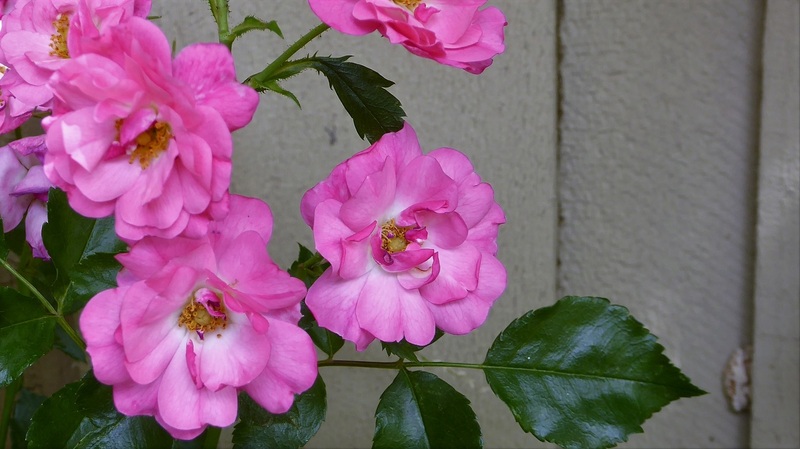 Once the male flowers appear, I will be busy hand pollinating the female flowers. This year I will be growing my climbing beans in 2 separate Ecobeds, to make the best use of sunlight. 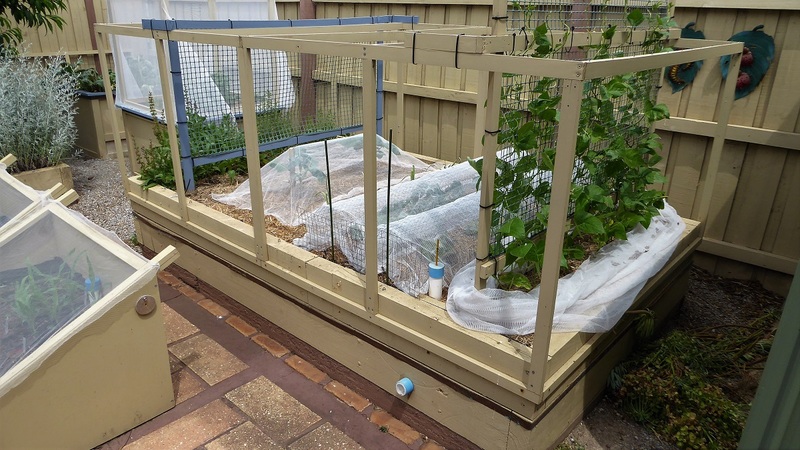 The lower climbing frame at the other end of this bed is supporting 4 capsicum plants. 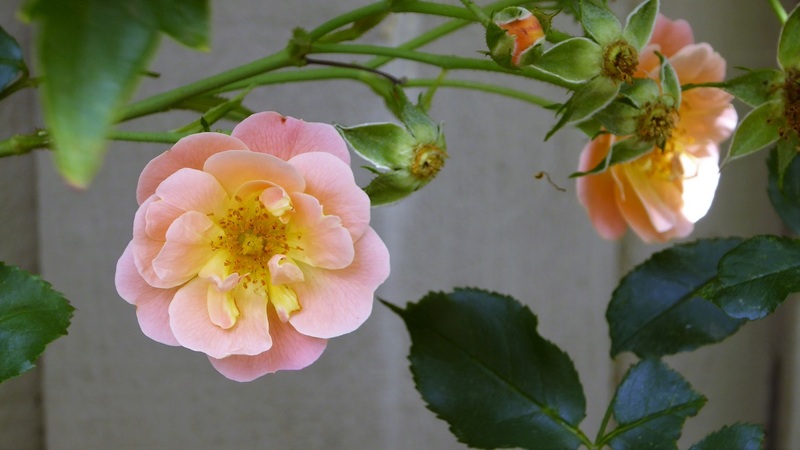 There are lower growing plants using the space in between. 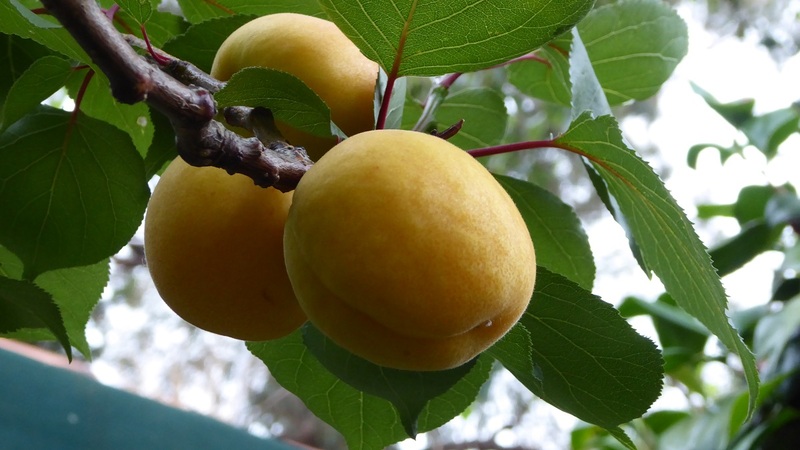 My apricots are starting to reach maturity, and I have begun to harvest some of them. The tree is placed awkwardly for harvesting, and I will be leaving most of the high grown fruit for the birds. 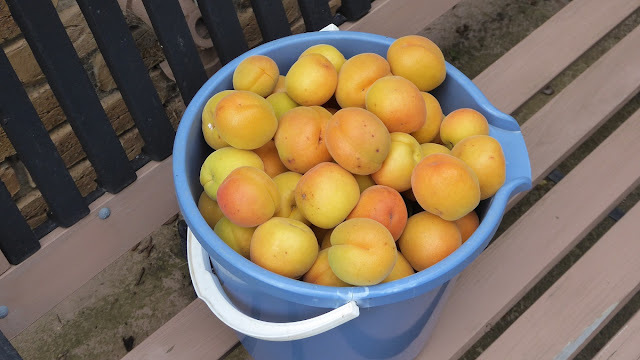 Despite this I got three 9 litre bucket loads of apricots off the tree. Two of the bucket loads were preserved in Fowler Vacola bottles. 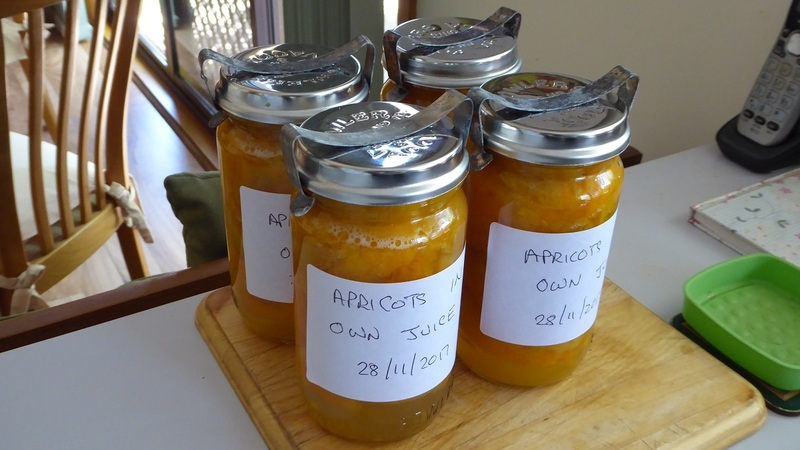 They were blanched for 2 minutes in boiling water, halved and kernels removed and packed in their own juice before being sterilised for 5 minutes in a pressure cooker. 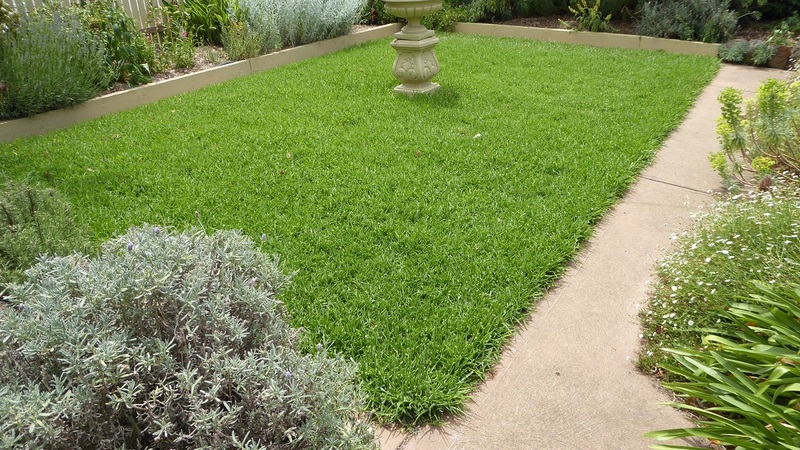 The lawn continues to amaze me. I only feed the grass with a bucket of filtered homemade compost every 3 months washed down with a drench of aerated compost extract. In warm dry weather it is irrigated (subsoil drip) for an hour every week, and yet it fills the lawn mower's collection box every week during this time. 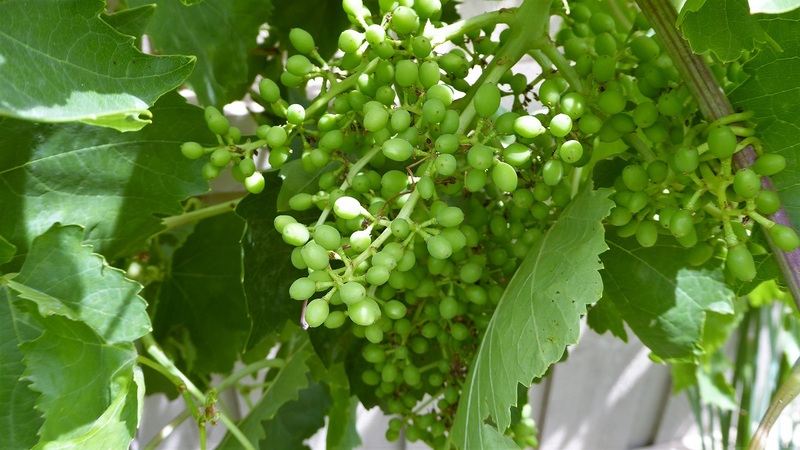 We should have a good crop of sultana grapes this year. My carpet roses were magnificent in November.